Former ‘Donkey Kong’ world champion Billy Mitchell is under intense scrutiny. Just days after video game high score champ Todd Rogers was stripped of his Dragster title for mathematically impossible times, the man who was the Donkey Kong king for almost 20 years has also come under scrutiny. Billy Mitchell's 2010 high score for Donkey Kong has been called into question on a Twin Galaxies dispute forum by Jeremy Young, the moderator of Donkey Kong Forum (DKF). Young has presented a wealth of evidence to show that Mitchell's performance was likely faked, and has thus removed the high score from DKF's leaderboard. Billy Mitchell is known to video game fans as the King of Kong, a title made world-famous by the 2007 documentary The King of Kong: Fistful of Quarters about the race for the Donkey Kong world record. Mitchell's 1982 score of 874,300 points reigned for 18 years until Tim Sczerby passed it by with 879,200 points in August of 2000. 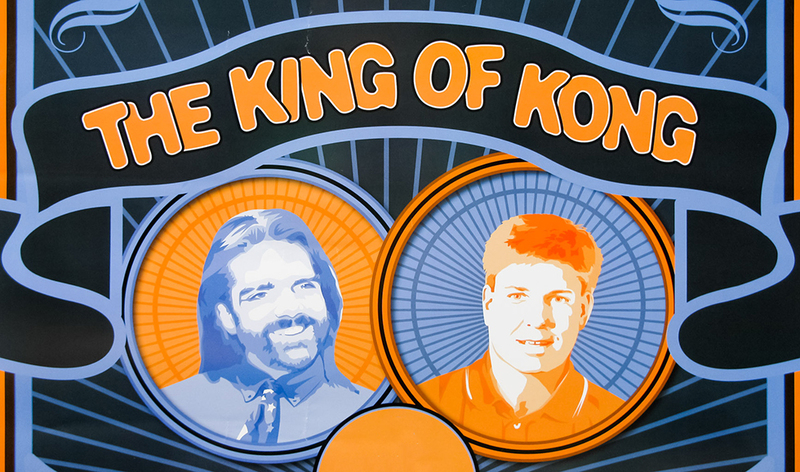 Mitchell retaliated in 2004 with a total 933,900 points, while Steve Wiebe (also in The King of Kong) surpassed that in June of 2005 with 985,600. Mitchell then became the first player to break 1,000,000, before he and Wiebe traded top scores a number of times (with Mitchell on top in 2007 with 1,050,200). Their monopoly on high scores ended in 2010, when Hank Chien dropped in with a Mitchell-busting score of 1,061,700. Aside from a couple of higher scoring attempts by Mitchell and Wiebe, Chien held the top score title until September of 2014, when Robbie Lakeman became the reigning champ, with Wes Copeland dropping higher scores in 2015 and 2016. Lakeman overtook Copeland this past December with a score of 1,230,100, surpassing Copeland's "perfect" 1,218,000 from 2016. Still, Mitchell is undoubtedly the most famous of the Kong kings. His domineering persona, long hair, strong beard game and choice of black suits have cemented him as the go-to Donkey Kong champion, long after his impressive achievements. However, now DKF rates Mitchell not as the greatest, nor even the 20th best. Mitchell now sits at 47 on the community's leaderboards. But DKF, despite its place at the heart of the Donkey Kong world, isn't where people look for high scores. Twin Galaxies has been the arbiter of video game leaderboards since 1981. It manages forums dedicated to fairly judging the veracity of scores as they're submitted by various parties. Other organizations, like the Guinness Book of World Records, rely on the leaderboards to award their own titles. When Twin Galaxies stripped the top 'Dragster' title (and all the rest of his high scores) from Todd Rogers just last week, Guinness soon followed suit. At press time, Twin Galaxies has not removed Billy Mitchell's 2010 achievement from its main Donkey Kong leaderboards. The issue is convoluted, though laid out with precision by Young in his explanatory post, which is accompanied by dozens of GIFs. "In summary," Young wrote, "these GIFs show that each of the Donkey Kong world record direct feed recordings presented by Billy Mitchell and verified by [Twin Galaxies] were generated in MAME and not by original Donkey Kong hardware." According to Young, Mitchell claimed that the footage of his record-setting score was taken directly from the feed off a Donkey Kong arcade board. The investigation and analysis of comparable arcade feeds and MAME videos, specifically by a technically-inclined forum community member named Sock_Master, seem to show that Mitchell's footage comes from MAME, the open-source software that emulates arcade boards. Playing Donkey Kong through MAME isn't problematic in itself (Young himself has recorded a 905,700 score through the emulator), but there are strict verifications for MAME high score attempts that check that the run was, for example, human-controlled and performed in one continuous playthrough. If the allegations Young has brought to Twin Galaxies are true, then Mitchell not only didn't go through these checks, he also hid the fact that he wasn't playing on official hardware. The evidence for the allegations is complex, and largely centers on framerate analysis and an apparent mis-rotation of the playscreen, but taken as a whole it appears quite damning. "It's important that we as a community take a stand against cheating and dishonesty." "The specific information provided in the thread has been gathered over the past week or so," Young told Engadget. "But closer looks at his videos have been happening for years. I started the formal [Twin Galaxies] dispute last August." Forum moderator Young isn't gloating, of course, but does feel vindicated. "Well, confirmation of a suspicion is always nice," he told us. While many people got into Donkey Kong because of the documentary, Young says his involvement is more tangential, and began when he learned about the scene from a friend on PlayStation Network. "I didn't watch King of Kong until I was already on [the Donkey Kong Forum]. I didn't have a strong opinion of [Mitchell] or Wiebe before I showed up. And by the time I showed up [in late 2012/early 2013] the whispers were already there." Young's main motivation is to make sure the posted scores are legitimate. "My view of Mitchell hasn't really changed," he said. "I do understand his role in the bigger picture, but my focus has always been on the community as it exists now, the friends I've made, and making sure competition is on the up-and-up." Whether Mitchell's demotion will propagate to the Twin Galaxies leaderboards is still up in the air. "Billy's 1,062,800 has been removed [from DKF]," said Young, "but he's still on the board with a 933,900 that was done in public with more credible circumstances. How Twin Galaxies responds is completely up to them. Both [Twin Galaxies custodian] Jace Hall and the TG 'commissioner' Dave Hawksett visit DKF on occasion, so I think they have interest in our voice." "Twin Galaxies is in the process of fully-reviewing the compelling evidence provided by Jeremy Young to support his current score dispute case against Bily Mitchell's Donkey Kong score. We will do this thoroughly and impartially. In the meantime we will continue to observe this discussion by experts in the community and will also examine any further evidence that may be provided during this review period."